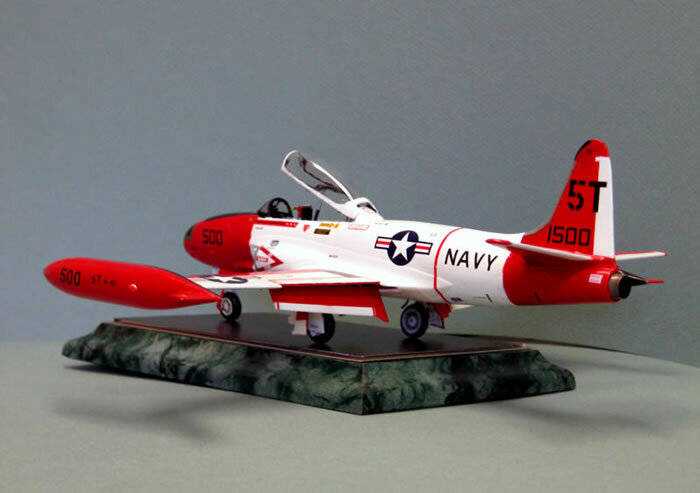 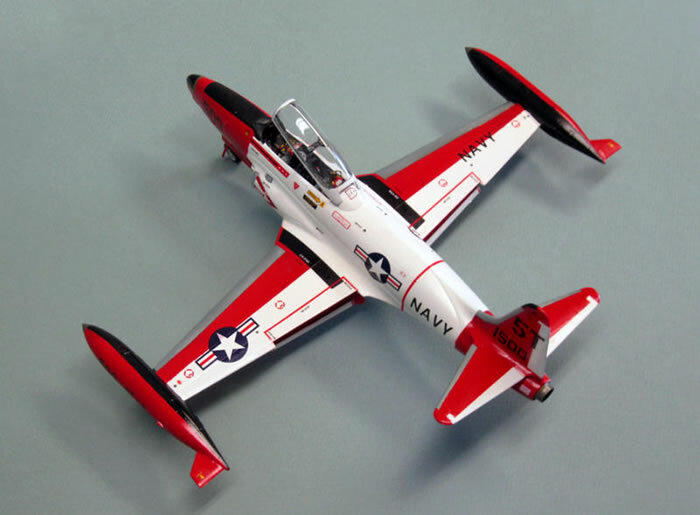 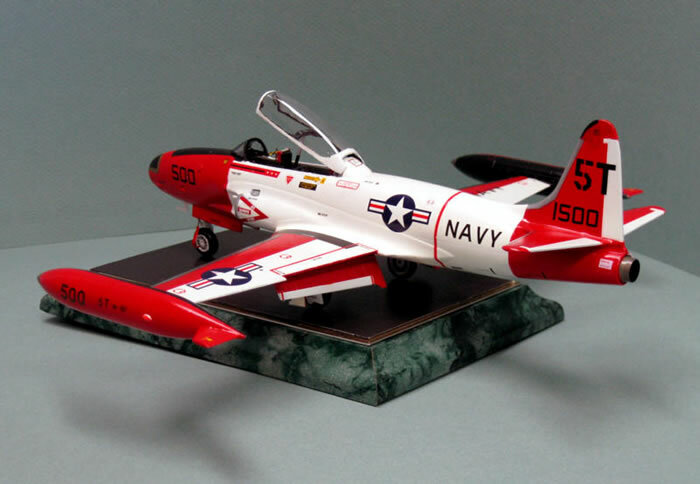 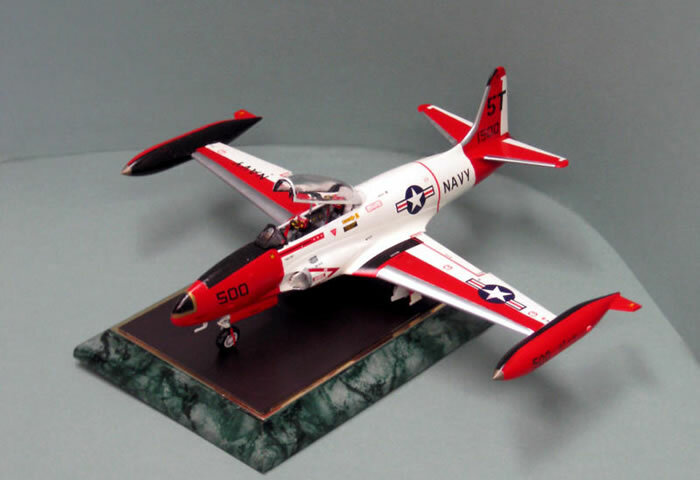 Here is my Academy 1/48 Lockheed TV-2 Navy Trainer (T-33) . 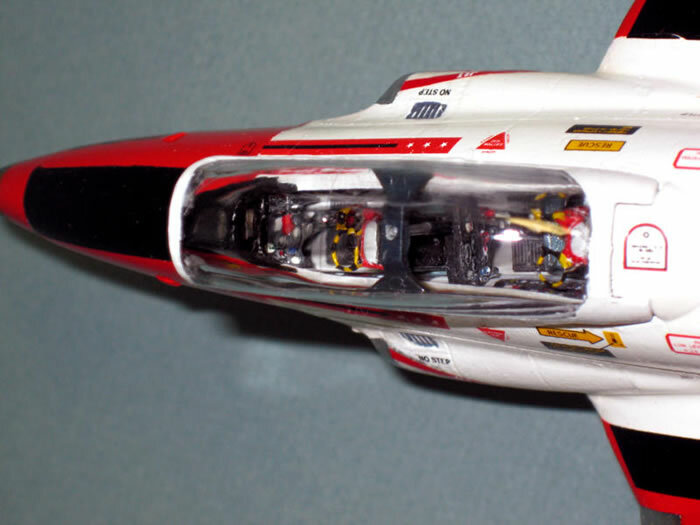 The kit was made straight from the box with scratch built mirrors and ejection handles. 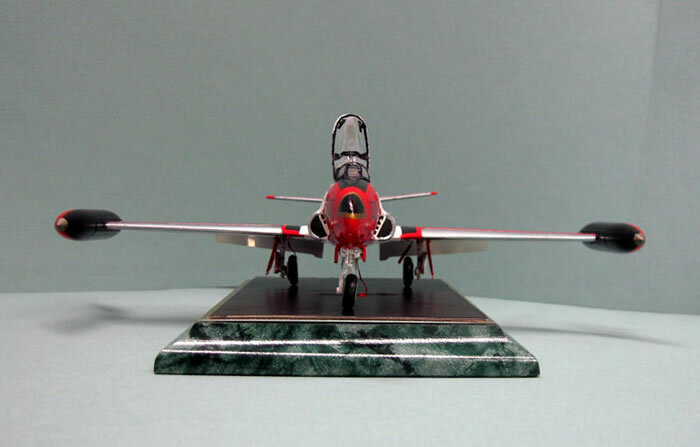 I painted the model with Testor's Model Master enamels and coated with Future floor polish. 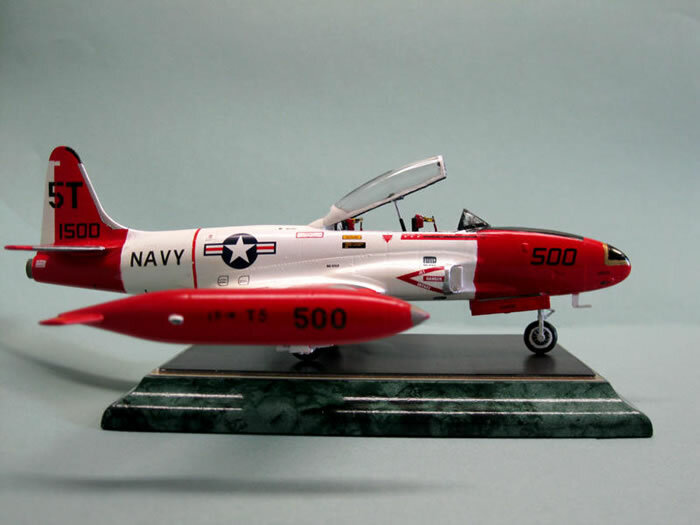 I had fun building this unique and colorful version that is not seen too often.